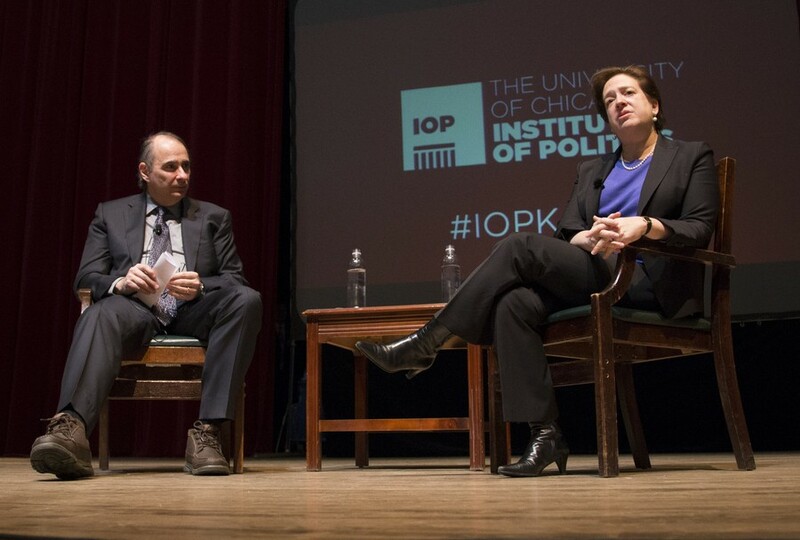 U.S. Supreme Court Justice Elena Kagan discussed topics ranging from her legal life to the inner workings of the Supreme Court in a conversation moderated by Institute of Politics Executive Director David Axelrod on Monday. Kagan was the first female solicitor general of the United States and is the fourth woman in history to serve on the Supreme Court, nominated for the position by President Barack Obama in 2010. Following her clerkships, Kagan briefly practiced law at a firm in Washington, DC and then went on to teach law at the University of Chicago Law School and Harvard Law School. She highlighted the impact that her stints as a professor had upon her subsequent career. Kagan said that as a professor she tried to find a method of communication that helped her students understand the complicated material in a memorable way. She continued to compare her work in the classroom to her work as a judge. Axelrod asked Kagan whether the lack of diversity in educational backgrounds on the Supreme Court was in any way troubling, in reference to the fact that all the judges have studied at Yale and Harvard. Describing relations between the nine Supreme Court justices, Kagan emphasized their efforts to avoid caucuses, and to listen and learn from one another. When asked her thoughts on the Constitution being a living document, Kagan responded that the intent of the framers is a factor to consider, but not the only one.